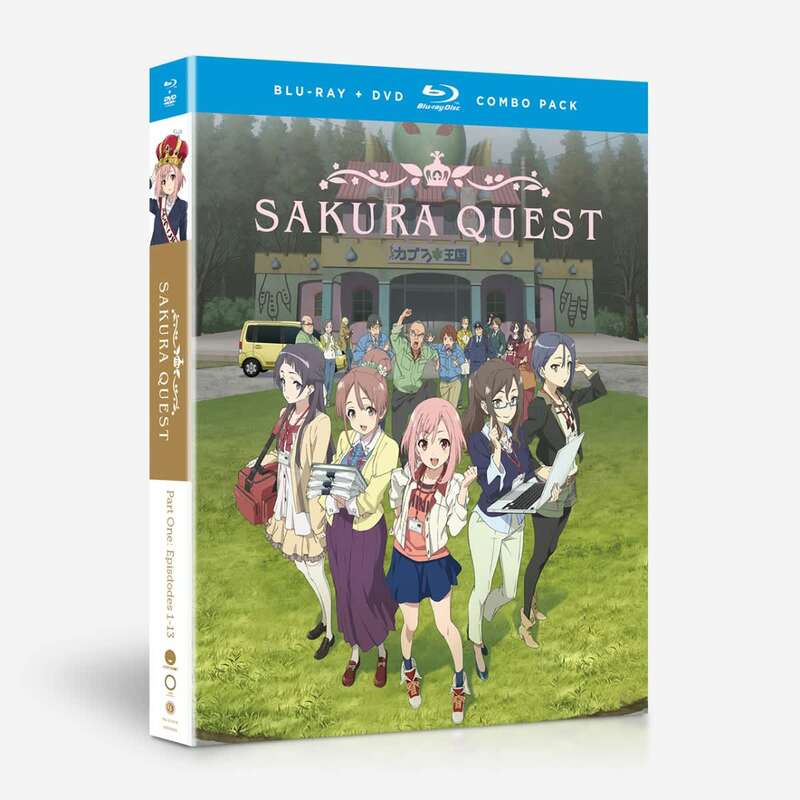 Sakura Quest Part 1 contains episodes 1-13 of the anime directed by Souichi Masui. After being rejected from job after job, Yoshino Koharu’s career prospects are looking dire. That is, until she gets an offer to become queen! But what she thought was a one day gig turns into a year-long commitment to the small rural town of Manoyama. Stuck out in the country with an entire town’s expectations on her shoulders, it’s up to Yoshino to show the world what a hidden gem Manoyama is! A Light Hearted Slice of Life Anime. It starts out slow, and is fairly simple in premise, however it does not take long for the characters to actually grow on you. You'll find yourself actually concerned about the town and the welfare of the people who live there. Overall it is a pretty good anime.